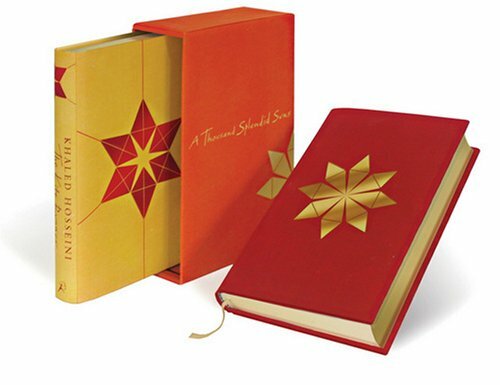 Introducing the luxurious limited edition Khaled Hosseini boxed set. Both bestselling novels are cloth-bound, numbered and signed by the author. In Hosseini's unforgettable debut novel, The Kite Runner, twelve-year-old Amir is desperate to win the local kite-fighting tournament and his loyal friend Hassan promises to help him. But neither of the boys can foresee what will happen to Hassan that afternoon, an event that is to shatter their lives. After the Russians invade and the family is forced to flee to America, Amir realises that one day he must return to an Afghanistan under Taliban rule to find the one thing that his new world cannot grant him: redemption. In his second novel, A Thousand Splendid Suns, Hosseini begins his story with Mariam, who is only fifteen when she is sent to Kabul to marry Rasheed. Nearly two decades later, a friendship grows between Mariam and a local teenager, Laila, as strong as the ties between mother and daughter. When the Taliban take over, life becomes a desperate struggle against starvation, brutality and fear. Yet love can move a person to act in unexpected ways, and lead them to overcome the most daunting obstacles with a startling heroism. 1. A Thousand Splendid Suns AND The Kite Runner.